There are changes on the way at Gallery On The Square! The first thing is that we will be closed for refurbishment from Monday January 29th, re-opening on Monday February 12th. We are developing the shop and gallery side of the business, which means more space is needed. And that means, sadly, that we are closing our lovely café. Our last day will be Saturday January 27, so please come and join us for coffee, cake and prosecco from 2.30 p.m. The decision was a difficult one, because we have hugely enjoyed running our café for the last six years and our regular café customers have become real friends. We hope people will still call in and see us, but it is now time to take the business in a new direction. We need a larger area for things like lighting, small furniture, faux flowers, decorative items, ceramics and sculpture – not forgetting our much-loved accessories, bags and jewellery. We also will now have a chance to expand the gallery side, featuring more ceramic artists, local designers and makers, as well as some new glass blowers and more Dorset-based artists. We have seen how much our customers appreciate things that are made and designed in the UK and are just a bit different. This is the direction that we will continue to go in and develop. That’s not to say there won’t be any more coffee at all. We will still have a wonderful coffee machine to offer people a cup while they browse, and we will be delighted to see you any time you are able to call in and say hello. There may just be some cake too…. Sign up to our newsletter for more news of vouchers, offers and giveaways throughout the year. PS: Our Dorchester town centre shop at Antelope Walk will still be open throughout (except on Sundays). Rowan Barnes-Murphy is an artist whose name you might not recognise, but you may well be familiar with his work. During a successful career as an illustrator he has produced iconic work for (among others) the Royal Shakespeare Company, the BBC, The Savoy Hotel and Moet & Chandon. His drawings can regularly be found in leading newspapers and magazines all over the world, and he has created characters for books published by major publishing houses. Now he has turned his attention to Poundbury, in a series of pictures which can be seen for the first time in our exhibition at the gallery from November 11, which will also include Rowan’s distinctive limited-edition prints of birds and animals. It’s Summer Show time in the Gallery! New paintings by Colin Willey, Sarah Jack, John Boyd, Philip Winstone and Angela Goodman; beautiful fresh ceramics from Richard Wilson, Elm House Studio and Rob Whelpton; magnificent glass from our very favourite glass blower, Bob Crooks. We’re starting 2017 on a high note with a new exhibition by our favourite Dorset landscape painter, Colin Willey. A fresh series of pictures from Colin is always a highlight of our calendar, and this year it comes early: the exhibition starts on January 28. Recently Colin has been ranging slightly further afield, and this time the lively Dorset landscapes and seascapes for which he has won such a following are complimented by a series from West Cornwall. The show goes on for four weeks, before Colin’s pictures move on to this year’s Affordable Art Fair in Battersea; then some will go on to New York. But our show comes first! If you would like an early look at the new exhibition, join us for a glass of wine on the first day, Saturday January 28, from 12 midday. Colin will be in the gallery from 12 until about 2pm. Landscape painter Rob Adams, who lives in north Dorset, is back in the gallery with a superb new exhibition in September. Rob made his name as a member of London’s prestigious Wapping Group of Artists. Said to be the oldest outdoor painting society in the UK, the group includes some of the most respected British landscape and marine painters. The new show will feature a new series of Rob’s Dorset landscapes, as well as some of the atmospheric London scenes for which he has built such a reputation. The exhibition starts on Saturday September 10. If you would like to join us for the private view on the evening before (6.30p, Friday September 9) just e-mail us ( art@gallerypoundbury.co.uk ) or ring us on 01305 213322. 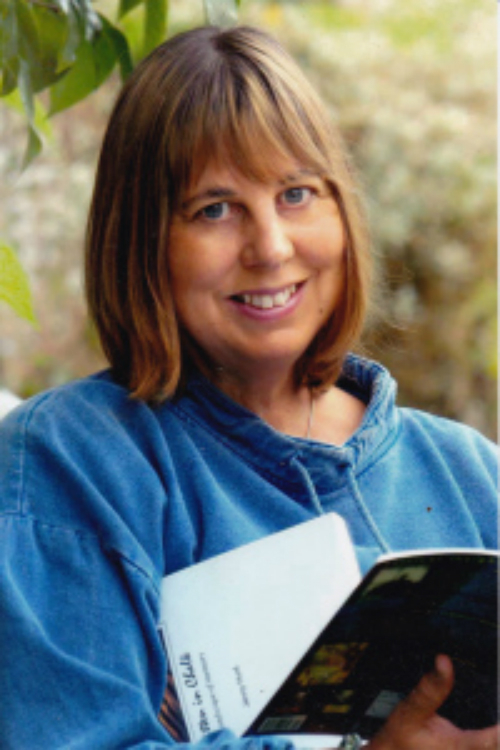 Writer and artist Jennifer Hunt has just published a collection of her poetry, prose and images. Sea Wall features Jennifer Hunt poetry about the South Dorset Ridgeway, but also includes extracts from her nature writing blog, and is illustrated by her own lino prints. Jennifer, who has lived in West Dorset most of her life, began her career as a graphic designer, later taking up poetry and developing her interest in botanical illustration. Her paintings and drawings featured in the millennium calendar, Plants of the Chesil Beach, and her work has been exhibited in Westminster with the Society of Botanical Artists. She runs regular art workshops and has a writing group, The Chalkstream Writers. She has a nature writing blog linked to the BBC Wildlife Magazine website, and in 2011 and 2013 was runner-up in the BBC Wildlife Nature Writing competition. Sea Wall is on sale in the shop at £10. 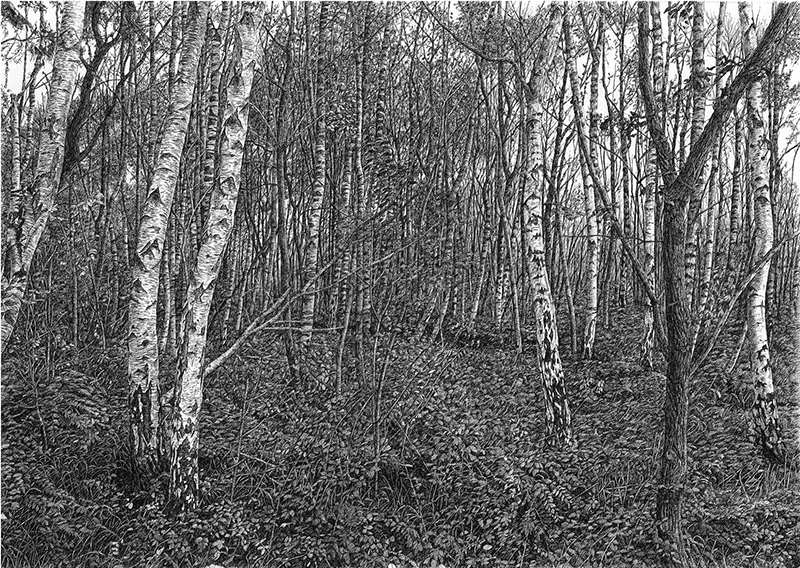 News from Sarah Woolfenden… her pen and ink drawing Silver Birches (above), which was in the The Royal Society of British Artists Annual Exhibition at The Mall Galleries last year, has won the online vote for best in show! For anyone interested in acquiring that particular drawing, the bad news is that we sold it from the Gallery here just before Christmas… prints of it may be available in a while, though. Contact us if you are interested! We do of course still have other prints of Sarah’s (framed and unframed) in the gallery. Well worth a look if you are not familiar with her work. And if you are, for that matter! 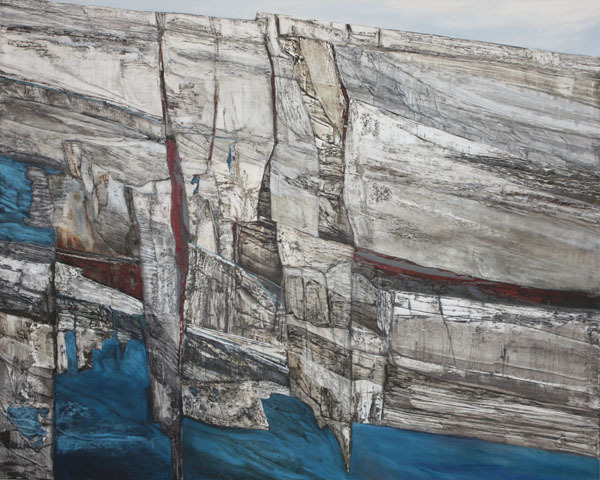 We are starting 2016 on a high – with the gallery full of new paintings by the inimitable Jan Walker. We have been fans of Jan’s work for some years – in fact we have bought several of her pictures – and when we started Gallery On The Square, more than four years ago now, she was one of the artists whose work we were most keen to show. We mounted a very successful exhibition of her pictures, and we have always looked forward to getting her back, but in the face of competition from bigger, more-established galleries, it has taken a bit of time! This impressive series of pictures is the latest product of Jan’s long-standing fascination with the cliffs of Dorset’s coast and the processes that created them. We have been so busy getting our new shop going that we haven’t had time to tell anybody about it! We decided we needed to be in the town centre, and now we are – at Antelope Walk in the middle of Dorchester. You’ll find all our favourite brands, including India Jane, Bob Crooks glass, Jo Downs, Yoshi, Arran Aromatics, Alice Hannah accessories and lots of lovely gifts. Plus, of course, Vintage Paint for furniture from Grand Illusions. We’re open at Antelope Walk every day except Sunday; hope you are able to call in! 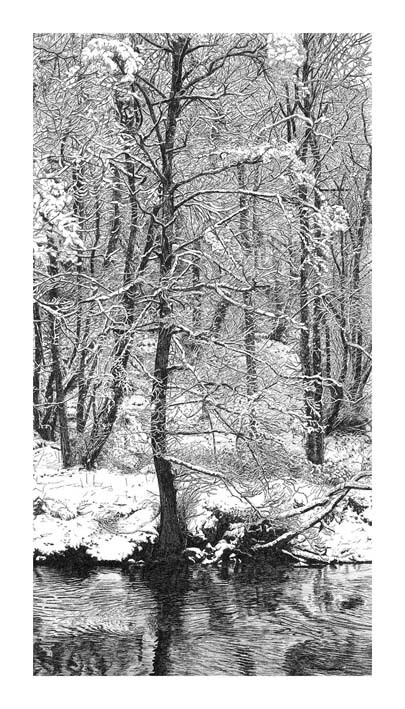 Now in the Gallery: original drawings and very affordable prints by Sarah Woolfenden. Don’t miss this show… that’s our recommendation! If you would like to hear from us with news of current offers, subscriber only vouchers and sale previews, please send us your email details. We promise to keep them safe and we do not share your data with any third party and we promise not to bombard you with emails!